by Marjorie Wilson OAM, Director of the Kangaroo Protection Cooperative, Chairperson, Australians Against Commercialisation of Wildlife. 1802 Barrallie “The hills were covered by kangaroos”. 1882 Lyne “Kangaroos and emus! A plenty! Reference to historical records suggest high populations of kangaroos over much of their range. Early historical records are dotted with references to large numbers of kangaroos. For example in 1818, John Oxley reported hundreds of kangaroos at the foot of a hill in western New South Wales, now known as the Warrumbungles. Gilbert, collecting in the southwest corner of Western Australia in 1840 counted over five hundred kangaroos on the Gordon River Plains. The fact that explorers based their provisions on the assumption that kangaroos would be available, and indeed found their absence noteworthy indicates that kangaroos were generally abundant. It is these references to the lack of kangaroos, however, that have perpetuated the myth that kangaroos were only in small numbers pre-European settlement. Sheep were run in ‘normal’ flocks of six hundred, cattle in smaller groups, so we may interpret “large herds” of kangaroos as being in the hundreds. Only small mobs in very few locations remain on the peninsula today. By the 1850’s the kangaroo had become a scapegoat for land mismanagement. It was seen as one more problem facing the man on the land. 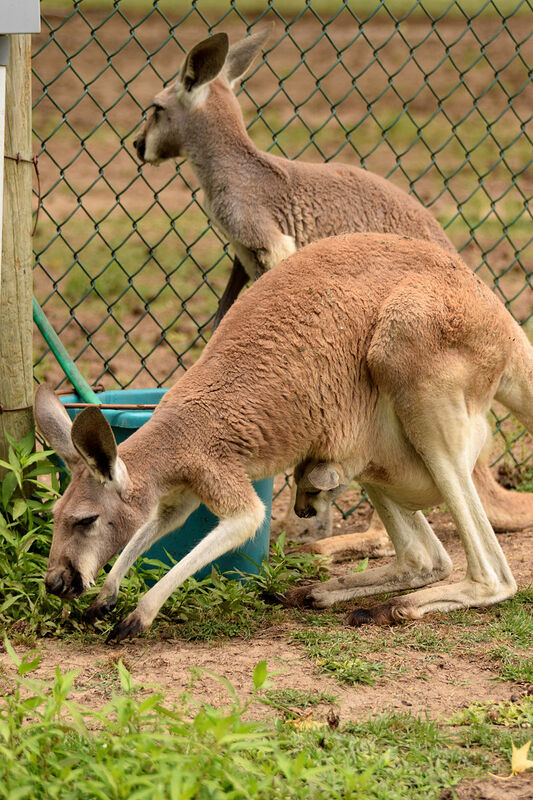 But unlike many other environmental and economic problems facing these folk, the kangaroo could be dealt with by the age old expedient method of extermination. I am frustrated in my search of the over resting of grasslands in Australia from a decline in herbivores. I have been looking at Allan Savory’s work who mistakenly had 40000 elephants killed only to find that the land deteriorated in their absence. Science it seems only looks at a plot 6 months after removing the animals and sees the grass growing. It takes longer to reveal the death of the grasses as they smother themselves without grazing. Do you know of any studies done with kangaroos? Thanks for the great question. I will put the feelers out and get back to you.